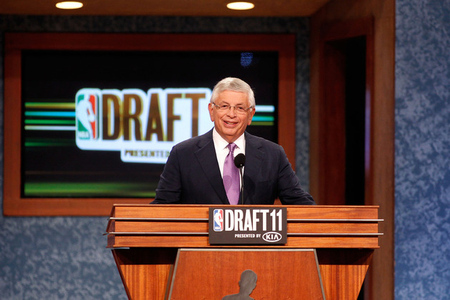 There were four Big Ten players selected in the 2012 NBA Draft; Meyers Leonard from Illinois (1st Round 11th Pick), Jared Sullinger from Ohio State (1st Round 21st Pick), Draymond Green from Michigan State (2nd Round 5th Pick), and Robbie Hummel from Purdue (2nd Round 28th Pick). Some of these players may have been selected too high in my opinion and others too low, but all of these guys certainly seemed draft worthy. The Big Ten did also have one player, John Shurna from Northwestern, that surprised some people by going undrafted. 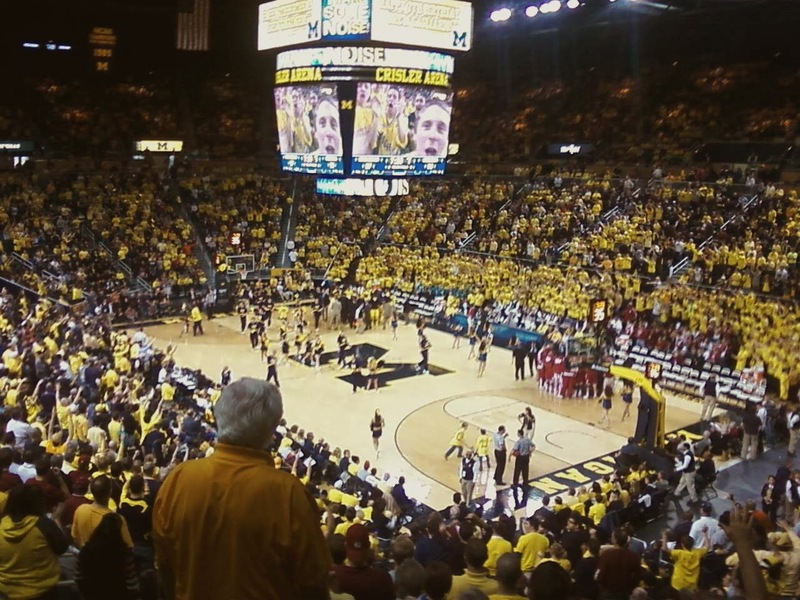 Michigan basketball was absent from the NBA Draft this year. This has been an unsettling trend for Michigan fans and the program in general. Although the NBA Draft isn't necessarily a symbol of a program's strength, direction, and talent, it still has some positive attributes. Being involved in the NBA Draft gets a lot of attention from recruits, the media, and fans, strongly increases the long-term legacy of the players and the program, and also is just a good sign of players meeting their long-term life goals. Michigan has had just one player drafted in the NBA Draft going all the way back to 2004. That means, there was one Michigan player selected in the last 8 drafts. Like I said, this isn't really that representative of the program, as evidenced by Michigan's Big Ten championship last season, but it is something that is bothersome. Michigan certainly had a chance at a high draft pick if Trey Burke had went pro and he and Tim Hardaway should be virtual NBA Draft-locks if they go pro after this season, but it still leaves Michigan fans with nothing as of now, right? That would be wrong because there are some Michigan players that are looking to make some noise in the pros, Stu Douglass and Zack Novak. Obviously, they weren't drafted and might not even end up in the NBA, but Michigan fans should be excited that at least some Michigan players will be looking to play basketball beyond college, especially considering where Novak and Douglass started their careers. Novak was rated as a 3* recruit before college and received offers from just about nobody except Michigan. In fact, some thought he shouldn't even pursue college basketball, especially not in the Big Ten. Douglass was also rated as a 3* recruit and had the pleasure of being offered by Michigan and another Michigan basketball team, not MSU, but Western Michigan. Neither of these recruits got just about any serious attention from any Big Ten schools except Michigan and it's amazing that they accomplished so much in their careers with the team. Now that Douglass is heading to Europe to play professionally and Zack Novak is training with NBA teams and will hopefully make a roster either here or in Europe, Beilein's coaching really seems to have been pretty impressive. Think about knowing a few years ago when Douglass and Novak entered the program that they would some day be playing professionally. They were 3* recruits entering a program in the midst of a coaching change and an almost decade long NCAA Tournament drought. I don't think many would have liked those prospects. To me, getting players in the NBA Draft is exciting and looks good on the coaching staff, but the accomplishments of things people like Douglass and Novak make, although unnoticied, really are no less impressive. Look at Jared Sullinger. Sure, he got drafted in the 1st Round and probably will have a decent NBA career, but look where he started. He was rated as a 5* recruit and entered a program that had just made the NCAA Tournament the previous year and had made the national championship game just three years earlier. To me, he should have been expected to be drafted somewhere. There's no doubt Novak and Douglass weren't expected to be drafted. In fact, I don't think most people would have expected them to play in the pros, anywhere. Now that they are set to play in the pros, I think that is a truer testament to the program's development under John Beilein than a simple count of drafted NBA players.